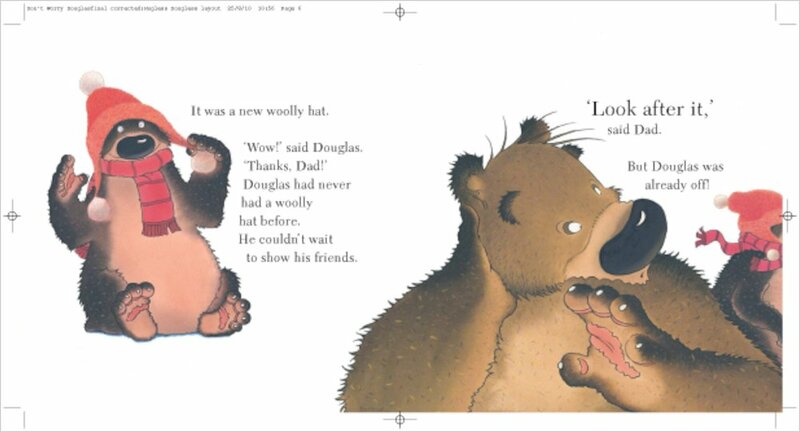 Douglas is thrilled when his dad gives him a wonderful new woolly hat, so he races outside to show it off. 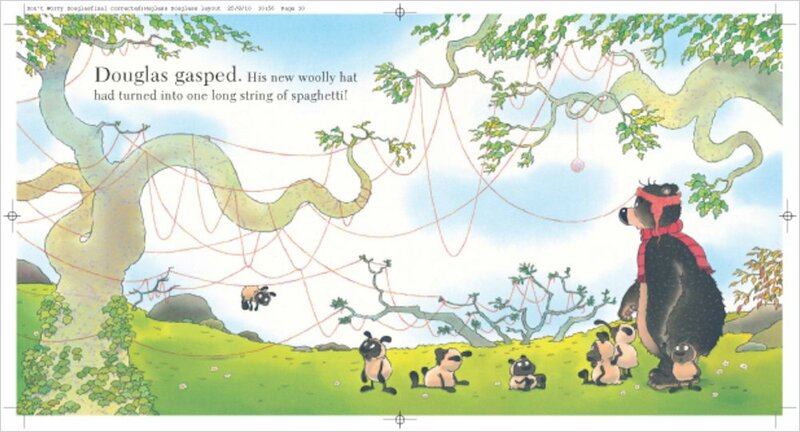 But in his excitement, he doesn’t notice that it is unravelling! 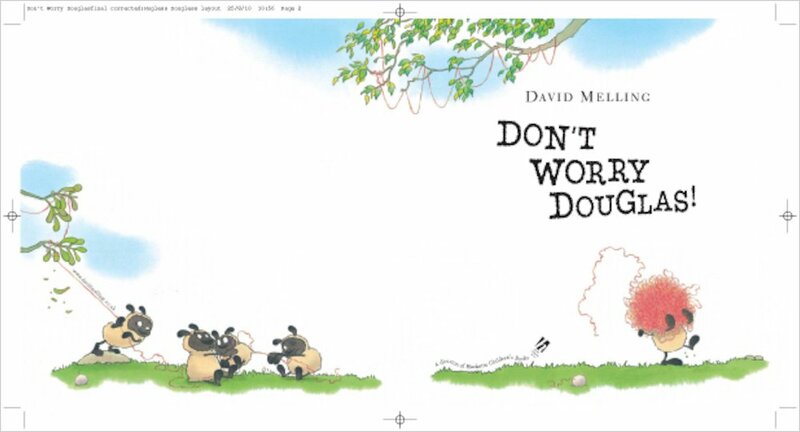 His friends try in vain to help, offering kind but useless advice on how to put things right. 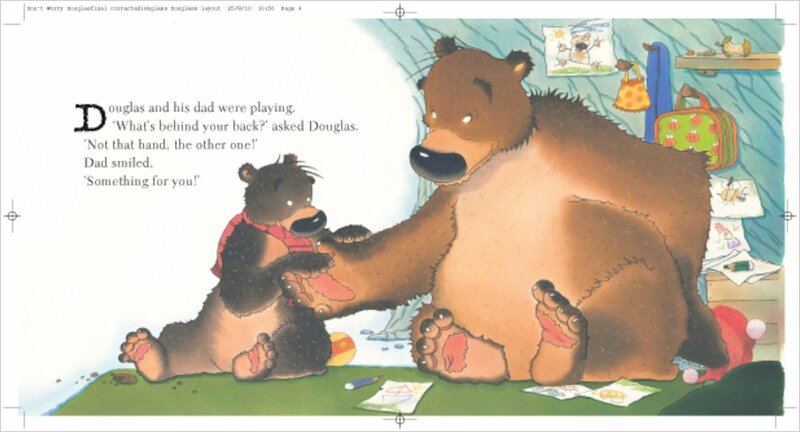 Can this bewildered brown bear work out the best thing to do? 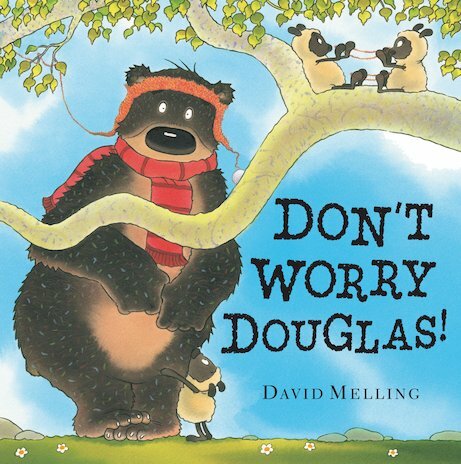 David Melling’s second book about Douglas the little brown bear is as funny and compelling as the first. 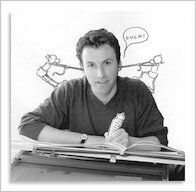 It combines brilliantly witty illustrations with an endearing sense of what it is like to be a small child learning about the world. 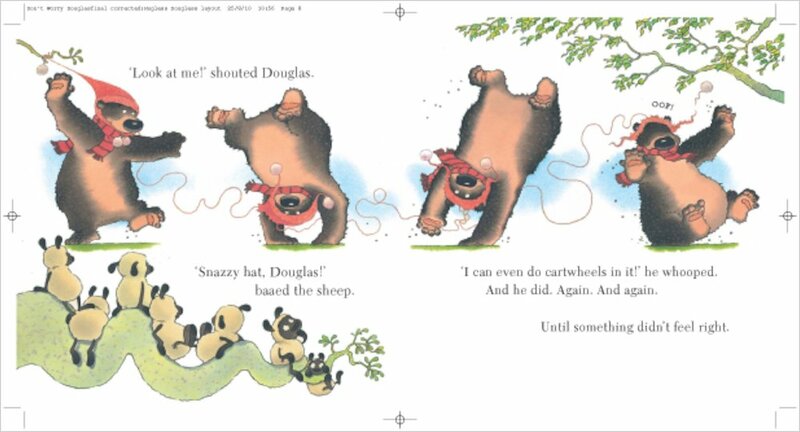 I really liked the bit where Douglas does cartwheels and the sheep hats were funny!